ZIPPY PERFORMANCE: Performance stays the same, no matter how many records you have in the grid. You can start small or end-up with a million records, the grid will remain snappy! PRODUCTION READY: The grid comes with a lot of functionality built-in. 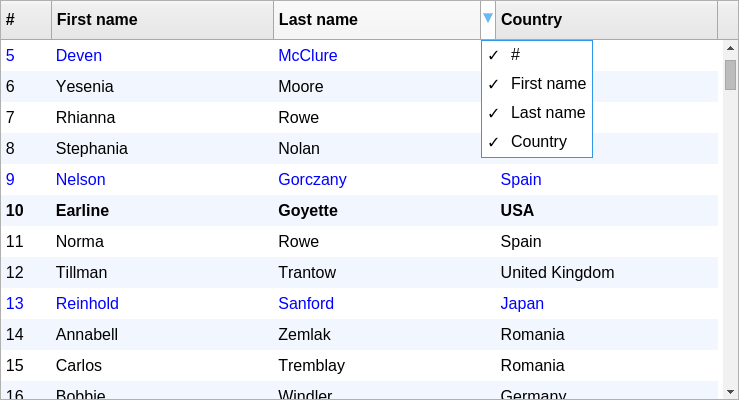 No need to look further to support for sorting/filtering/selection/column reordering, etc. CUSTOMIZABLE: Basically you can customize everything. Start with changing how cell contents are rendered, what styles are applied or totally modifying how selection behaves.